Josh Elliott challenges the slopes at Oregon’s Mount Hood. Sgt. Joshua Elliott and his wife had just been transferred to Camp Lejeune, North Carolina after serving in Japan, Iraq and San Diego. Elliott had barely checked into his new unit when a friend asked him to take a squad leader position with a platoon he was leading in Iraq. As a combat engineer, Elliott’s job was to serve as point man for the platoon, using a metal detector to find and mark improvised explosive devises, clearing the way for the his team members as they followed him into various neighborhoods. 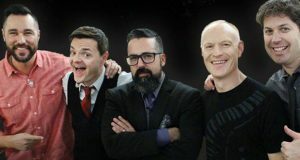 In April 2011, three months after landing in Afghanistan, Elliott and his team entered a corner building that would become their staging post and point of safety. Several guardian angels—soldiers who used large guns to cover their team from rooftops—were preparing to take their positions. Elliott escorted the guardian angels to their perches. “As I was walking back off the roof of this building, seemingly on the same path we all just previously walked on, I stepped directly on an IED,” Elliott said. It took a few moments for the sergeant to realize that he was the one who had detonated the bomb. “Time doesn’t really slow down,” he said, but it feels like it because the brain shifts into overdrive, passing more information than usual from short-term to long-term memory. The force of the bomb thrust him straight up in the air, and then straight back down through the hole. He landed in a sitting position on the rubble of what just a few seconds earlier had been a roof. He thought of his friends looking for him in pink mist, the slang term war veterans use when a body is vaporized and there is little to look for or find. “Truthfully I believe I would have been pink mist had that bomb been in the ground versus the roof. Because it was in the roof and I was a heavier force, much of the blast went down into the room below. Two of his fellow Marines found Elliott and the unit began a series of tasks to try to save him. A Navy corpsman put tourniquets on both legs on the left arm. The patrol leader called in an evacuation helicopter. Others cleared a landing area. Some provided security or assembled a makeshift gurney. They kept talking to the sergeant to keep him awake. Everyone on site knew that if Elliott had any chance of survival, the evacuation helicopter needed to make a prompt rescue. It didn’t seem fast enough. It was on the helicopter that Elliott—who was placed into a drug-induced coma so that the medical team could treat life-threatening wounds to both lungs, his intestines, and three of his four limbs—had a vision that would change his life. In a moment, he said, he sensed a “turning and finding something that wasn’t there before in front of me. The light, he said, was bright like the sun but without burning the eyes. Elliott said he was acutely aware of the Creator judging his life. As soon as Elliott said no to God, he awoke from his surgery, the first of many he would have in the coming weeks. Ultimately doctors amputated both of his legs. 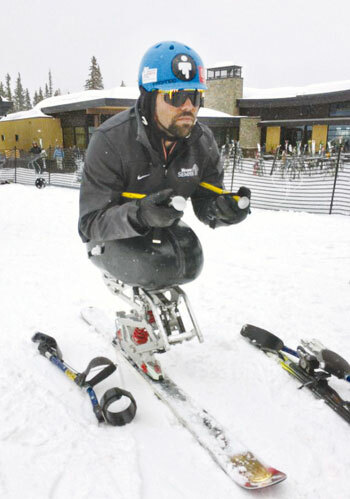 Josh Elliott masters the adaptive equipment that allows him to compete in monoskiing. With the vision came a new perspective. “I don’t live by faith anymore,” Elliott said. “I live by knowing. In the foggy days that followed Elliott recalled a prayer he had asked God after watching an evangelist speak to his youth group. A former inmate, the speaker spent 45 minutes regaling the kids about his past, but made only a fleeting mention of Jesus and his redemptive power. Although disappointed with the speech, the young teen suddenly realized that at least the man had a testimony. A Christian all his life, Elliott believed he lacked his own dramatic story to share with others. So he prayed for God to give him his own testimony. After spending several days in Afghanistan, he was flown to Landstuhl Regional Medical Center in Germany, where surgeons spent nearly a week on additional procedures to prepare Elliott for the long flight to National Naval Medical Center in Bethesda, Maryland. At Bethesda Elliott underwent surgeries almost every other day, as doctors continued to remove tissue that was destroyed by shrapnel or the resulting infections. He admits that he relied heavily on his wife, Samantha, and his parents throughout the long recovery process. A month after arriving to Bethesda, when his wounds were clean enough to suture for good, Elliott asked to be transferred to Naval Medical Center San Diego, where he had attended boot camp. For 18 months, Elliott’s work orders were to heal. That meant routine trips to recreational, occupational and physical therapists, plus seeing doctors who specialized in prosthetics, plastic surgery, dermatology and tissue. It was through recreational therapy that Elliott discovered monoskiing, which uses a wide ski with boot mounts that face forward. 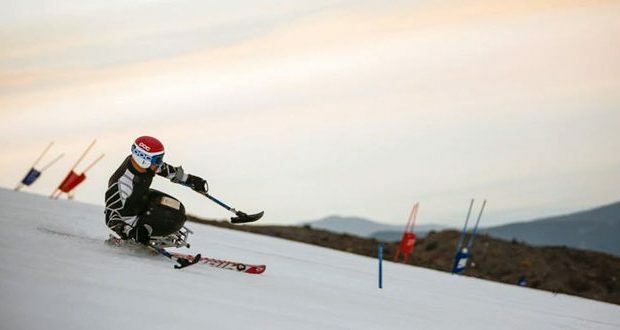 Because the ski can easily be adapted with a seat, many paralympic athletes have become competitive racers. Elliott, an avid snowboarder as a teen, has earned a place on the U.S. Paralympic Alpine National Team and hopes to compete in the 2018 Winter Paralympic Games. In February he earned a silver medal in the giant slalom at the IPC Alpine Skiing World Cup Finals in Aspen, where he trains every winter. “It was as much an equalizer and confidence booster as it was a therapy,” said Elliott. Although he feels the call of the mountain slopes of Aspen, the retired Marine said he knows God is calling him to much, much more.